Product prices and availability are accurate as of 2019-04-17 00:10:04 EDT and are subject to change. Any price and availability information displayed on http://www.amazon.com/ at the time of purchase will apply to the purchase of this product. 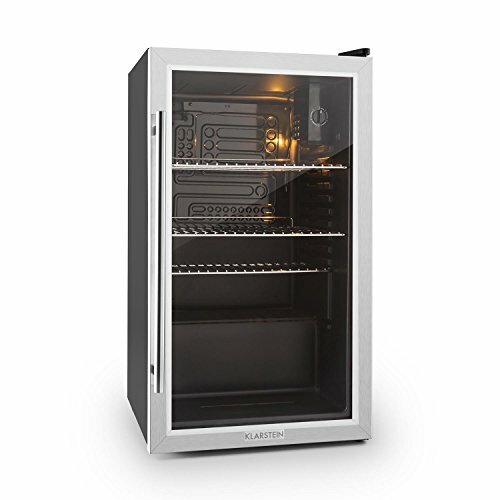 STYLE: The overall design of the matte black KLARSTEIN beersafe XXL makes it an elegant addition to your home. 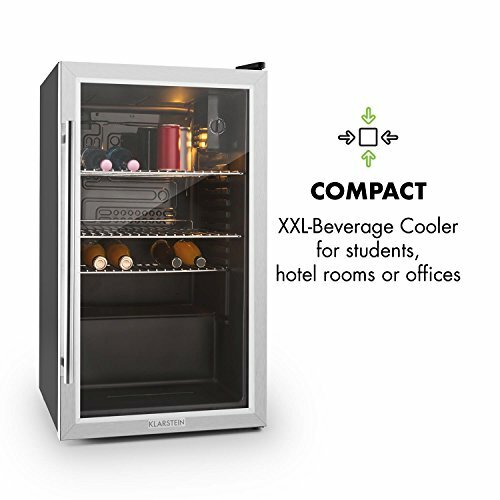 With its noble front panel of brushed stainless steel, the cooler is ideal for installation in bar areas of hotels and upscale dining establishments. POWERFUL: Behind the two double-insulated, stainless steel glass doors, the KLARSTEIN Beersafe has a capacity of 2,9 cft and can easily stores up to 106 cans of beer or soda. 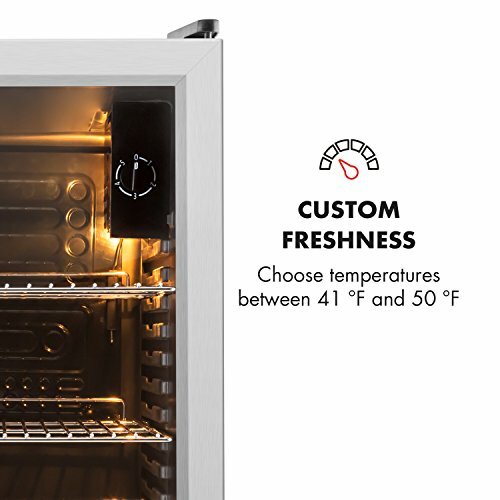 The operation of the cooler is carried out via a 5-step adjustable thermostat, that ensures a constant temperature set according to your individual preferences. 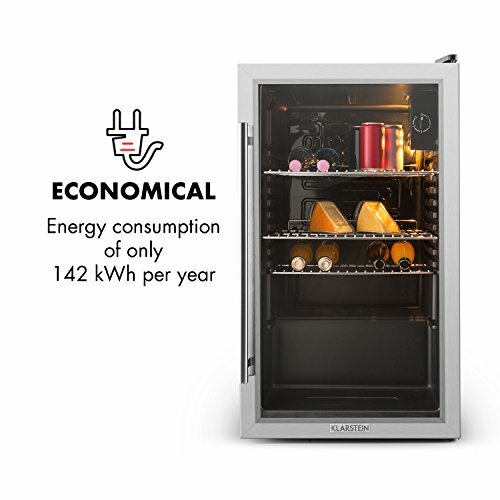 ECO-FRIENDLY: The Klarstein Beersafe is not only powerful, it performs its duties with an environmentally-friendly power consumption of only 142 kWh per year. ADJUSTABLE: This ingenious cooler from Klarstein is easy to handle and practical to use. 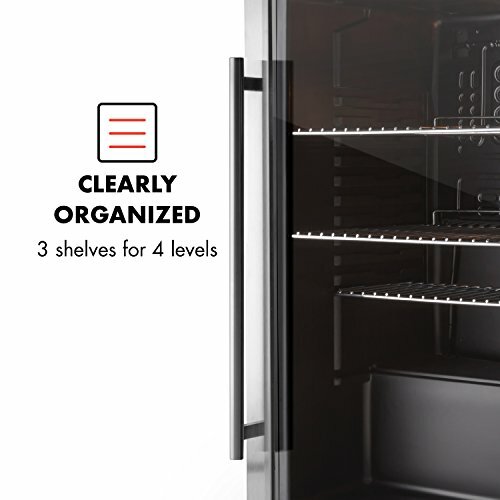 Three chrome-plated shelves can be inserted or removed as desired, in order to provide either a tidy interior space or to make more use of the storage capacity. In addition, the switchable interior light provides a full view of the interior. 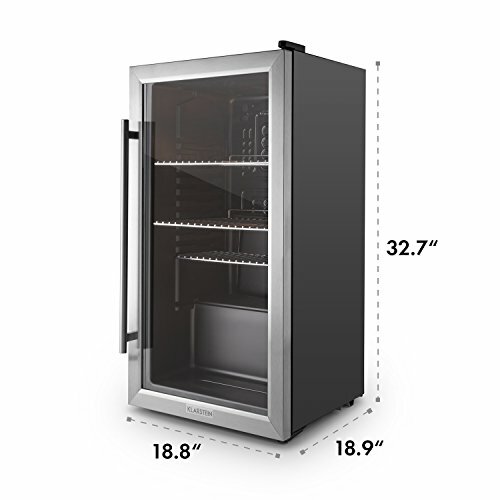 CONVENIENT: The Beersafe XXL takes up just 18.9 x 18.8 x 32.7 inches of space and can be installed wherever food and drinks are needed. Its pleasantly low operating noise makes it ideal for use in offices.